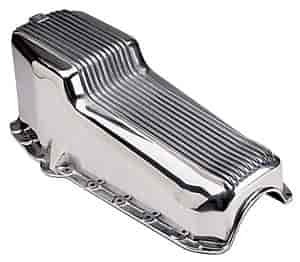 Fully polished oil pan has a completely finned bottom for an outstanding look! Made to stock dimensions, precision die-cast and machined for a perfect fit. Includes drain plug and bolts. Does Mr Gasket 5415 fit your vehicle?